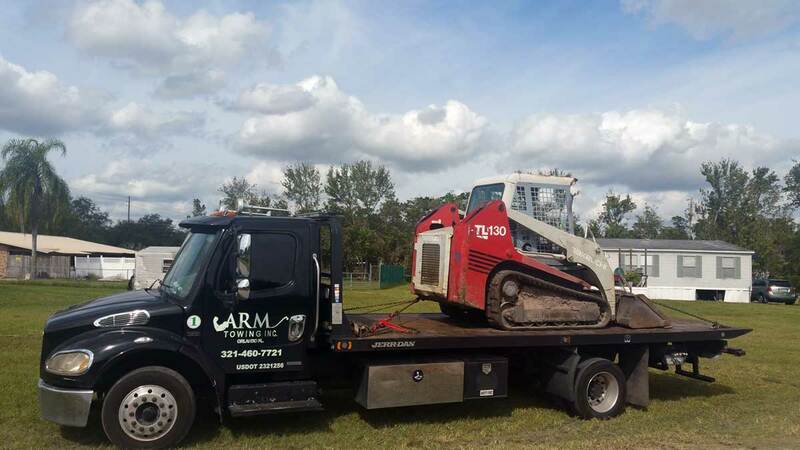 ARM Towing provides complete specialty hauling of small tractors, equipment, cargo, sea containers, sheds and material throughout greater Kissimmee. Their team of trained and experienced hauling and towing professionals understand how to quickly, safely and affordably tow just about anything. They have capabilities to haul loads up to 12,000 to any point in the area. Call their dispatch line now at 321-460-7721. For the best price in Kissimmee Bobcat & Skid Steer hauling call ARM Towing. 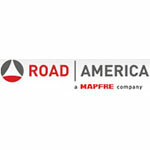 Their team offers fast and affordable hauling for all types of light equipment. 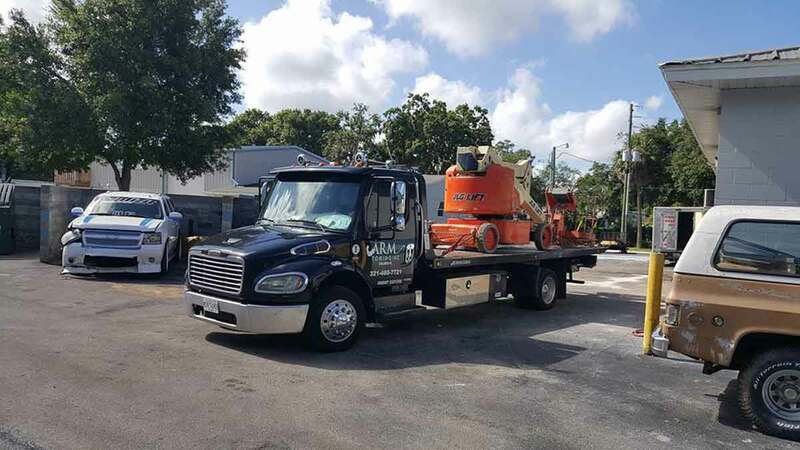 They can haul your small equipment across town or across Florida. 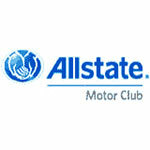 They are available 24hrs daily including weekends. Kissimmee based ARM Towing offers fast and affordable toolbox towing services throughout Orlando, Kissimmee & Central FL. 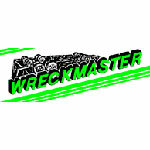 They keep their hauling prices low and can provide tool box hauling when you need it including nights and weekends. 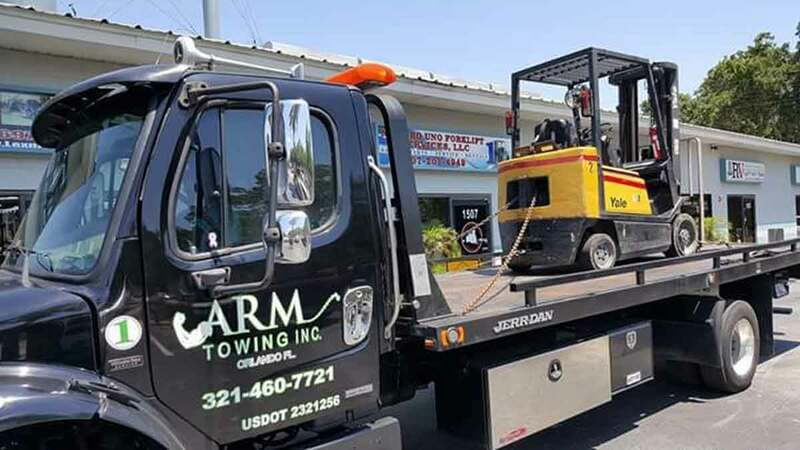 As experienced shipping container haulers, ARM Towing provides container loading, hauling and setting services in Kissimmee. 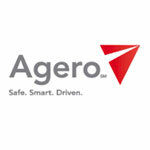 They provide complete container services for containers from 10' to 25'. Their team of trained container hauling providers are experienced in loading and offloading of sea containers. 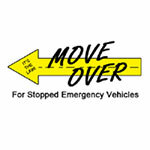 Call their dispatch center now at 321-460-7721.